See Tillerman The Music of Cat Stevens at Lynbrook. 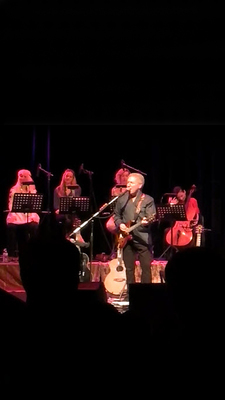 Evolution Music Entertainment presents Tillerman – The Cat Stevens Songbook at Lynbrook on 30 March. After an absence of 12 months Tillerman is back at the wonderful Faith Theatre in Lynbrook to start the 2019 season. With an all new production featuring sound, lighting and visual, the team, led by vocalist Michael Prizeman, promises an experience not to forget. “It has taken just on 12 months to get the production just right and now we can give showgoers the ultimate experience,” Michael said. Evolution Music provides the technical and promotional support. Michael and lighting and sound expert Mark Symonds have years of experience in live and theatre shows. “And it shows”, said Mark. “We have put all our technical expertise into this show so it sits well above other tribute-type shows. “Our first show on 30 March will be a big one,” added Michael. “So don’t miss out”. Tickets are now on sale through www.trybooking.com and search Cat Stevens or by ringing the hotline on 0490 554 902. The show will be touring metro Melbourne over the next three months then country Victoria.